Playrix Entertainment, the makers of the Fishdom series, are about to present the third part of this fabulous Match-3 game! 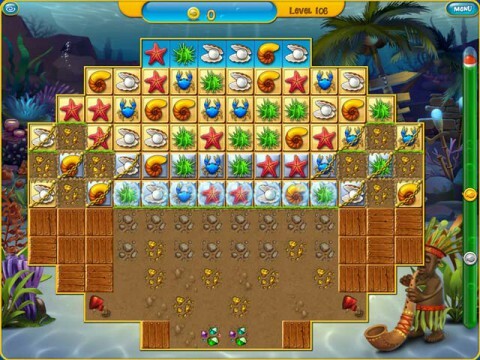 Populate and decorate your own fancy fish tanks, earn money playing match-3 levels one by one. 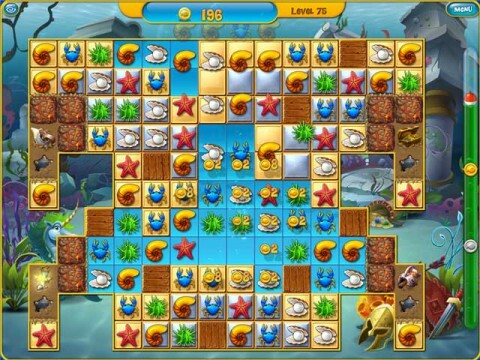 Completing a match-three level entails clearing the playing field of gold squares by matching the icons on top of them. 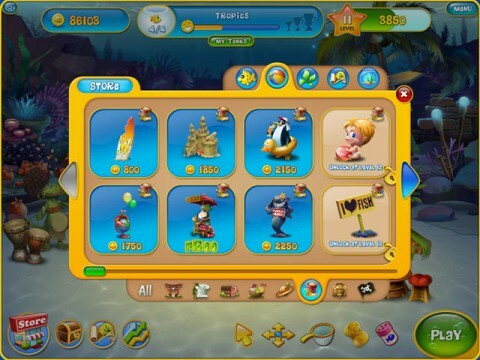 Once you've cleared them all, you're awarded a chunk of money to spend in the Store. This game for certain is funny and addictive. Downloas for free Fishdom 3 and dive in!